Now that Mother’s Day is over, I’m switching modes and gearing up for Father’s Day with some masculine cards. Today’s Mojo Monday sketch lends it self perfectly to this. I left the scalloped edge off the bottom to make it a little more masculine. 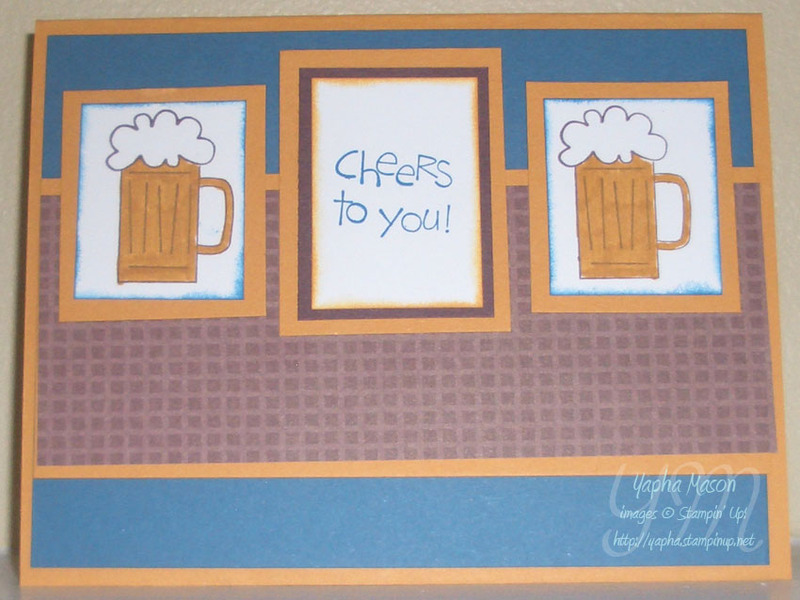 I also thought about putting glitter on the beer foam, but wasn’t sure if that would take away from the manliness of the card, so I left it off. This would be great for a birthday or Father’s Day. Great idea for this layout!! !